The PS Logistics company was founded in 2001 by Mr. Tomasz Szymanowski. In 2009 a limited liability company was brought to life, which is now specialized in lifting equipment. Our company manufactures, sells, assembles and also deals with the service maintenance of the lifting devices. Taking note on the need to associate the brand with the industry, on the first of May in 2016, the company modified the name and changed it to PS Lift. Our commercial offer is known to be one of the most extensive proposals in Poland. Other than hoisting equipment of our own production, we provide a range of products of the prestigious european manufacturers. We are the exclusive representative in Poland of the following companies: Flexlift Hubgeräte GmbH, Edmolift AB, Gebuwin Metal Products and Simson Power Tools. A cooperation with the recognised suppliers allows us to guarantee the highest quality of products and to meet the customer’s expectations. We issue CE conformity certificates for all of the lifting devices that are sold in our company. Apart from that, we export our goods to many countries, mainly to Germany, Great Britain, the Netherlands, Russia, Ukraine, Lithuania and Slovakia. Our devices operate both on the Arabian Peninsula and in the United States. We offer our customers the opportunity to analyze their processes and also to design and to implement solutions that will facilitate handling of their items by optimizing and streamlining the production and storage processes. We solve all kinds of problems that are associated with relocating, even the most outsized products, by improving ergonomics and occupational safety regardless of the nature of the company and the industry. The establishment of the sole proprietorship by Tomasz Szymanowski under the name PS Logistics Tomasz Szymanowski, specializing in sale, the assembly and the service of lifting equipment. For the first few months, the company is run only by its founder and owner. The company’s headquarters is located in Kościan. 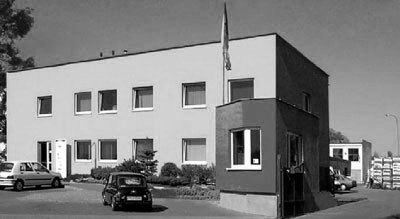 Due to dynamic development of the firm, the company’s headquarters is relocated to Poznan, Samotna 4 Street. Beside a much larger warehouse with the possibility of loading and unloading large-size devices, such as jib cranes, cranes and lifting tables, the company occupies three office rooms and employes five people. Unification of the color for every product that is offered by our company. From now on, both, devices available in the storage and the ones for the individual customers with special requirements, are sold in RAL 3000. Our devices are labeled with all of the European standards that are required by the law, as well as with the CE certification, and marked with our company logo. The expansion of the business with manufacturing of the lifting equipment. Launching on the market the LBT gear winch manufactured by our company from polish components only. Taking part in the International Trade Fair Network of Ligna 2007 in Hannover, and presenting technological solutions dedicated to the wood processing industry. Our company presents mobile workshop cranes and more. Purchasing a real estate and transferring the company to Racot. In view of significant development of the company and the demand for service and maintenance of the lifting devices, the employment rises, overall the company employs 20 people. 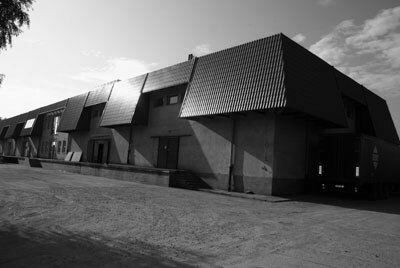 We own 2400 square metres of the warehouse space and 600 square metres of the office space. Large maneuvering area and mounted loading ramps and lifting tables within the space allow to unload every, even the largest merchandise/product. Introduction of the first model of the manual pallet truck with debossed logotype of our company – PsLog. Acquiring the Edmolift certificate for the best distributor of the year. Establishment of the PS Logistics limited liability company. The company pursues targets and actions of the founded in 2001 privately held company. Service technicians have all of the required UDT courses and trainings in the field of operation, installation and supervision of lifting devices. 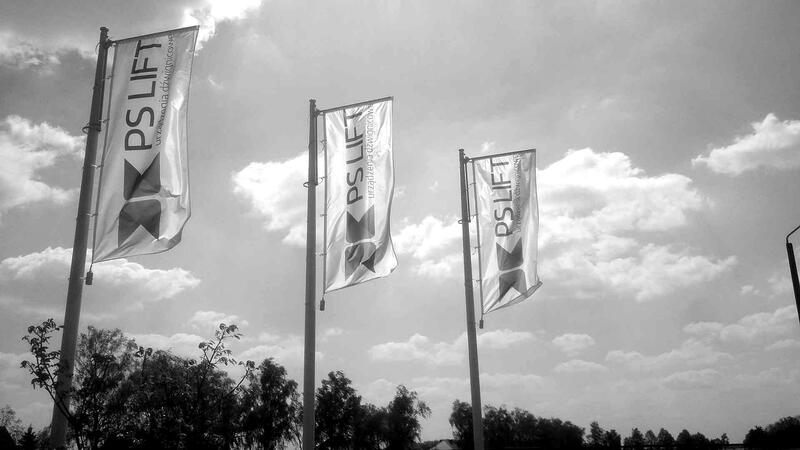 On the first of May in 2016, taking note on the need to associate the brand with the industry, the company modified the name and changed it to PS Lift.